Energy development • Desert flowers endemic to Uinta Basin only grow on oil shale outcrops. 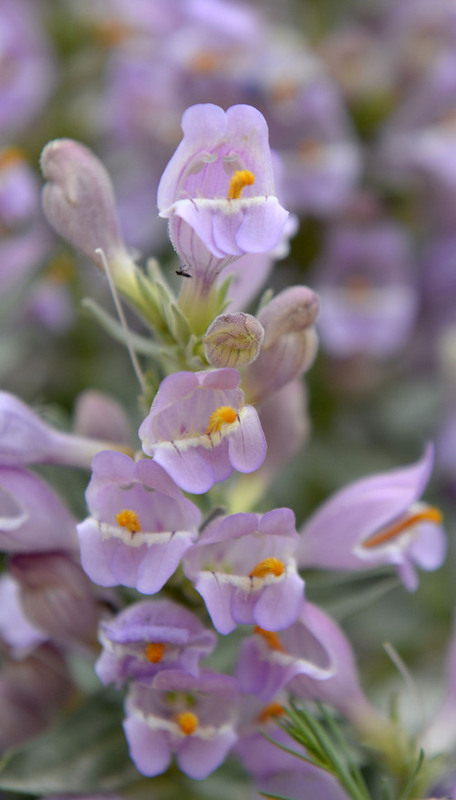 Al Hartmann | The Salt Lake Tribune One of several Graham's Beardtongue plants that Red Butte Garden botanists have transplanted in their conservation trial bed are in full bloom Tuesday May 6. They have taken hold and are now producing some seeds. The rare desert flower only grows on oil shale outcrops and is proposed for listing under the Endangered Species Act. 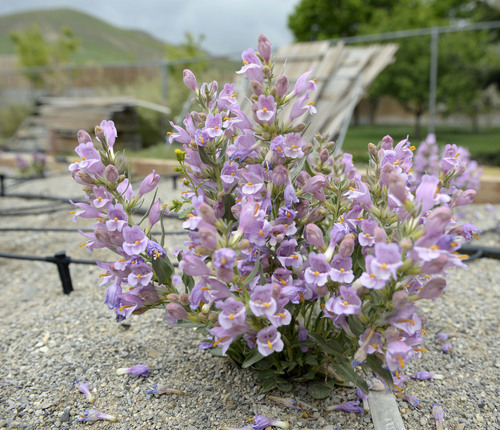 Al Hartmann | The Salt Lake Tribune One of several Graham's Beardtongue plants that Red Butte Garden botanists have transplanted in their conservation trial bed are in full bloom Tuesday May 6. They have taken hold and are now producing some seeds. The rare desert flower only grows on oil shale outcrops and is proposed for listing under the Endangered Species Act. Kevin McGown | Courtesy of U.S. Forest Service The U.S. Fish and Wildlife Service wants to protect Graham's beardtongue, a rare desert flower that grows only near Uinta Basin's oil shale outcrops. Utah officials and industry representatives fear listing this plant and White River beardtongue will prevent development of Utah's vast oil shale resources. 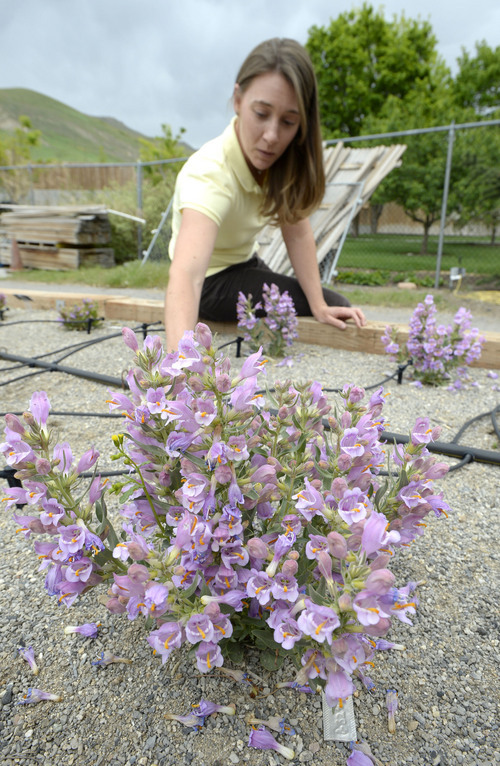 Al Hartmann | The Salt Lake Tribune One of several Graham's Beardtongue plants that Red Butte Garden botanists have transplanted in their conservation trial bed are in full bloom Tuesday May 6. They have taken hold and are now producing some seeds. The rare desert flower only grows on oil shale outcrops and is proposed for listing under the Endangered Species Act. 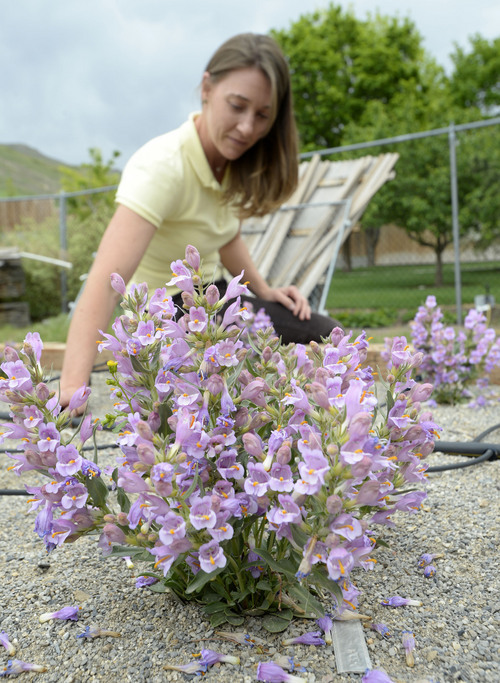 Al Hartmann | The Salt Lake Tribune One of several Graham's Beardtongue plants that Red Butte Garden botanists have transplanted in their conservation trial bed are in full bloom Tuesday May 6. They have taken hold and are now producing some seeds. The rare desert flower only grows on oil shale outcrops and is proposed for listing under the Endangered Species Act. Al Hartmann | The Salt Lake Tribune Rita Reisor, Conservation Director for Red Butte Garden examines one of several Graham's Beardtongue plants that garden botanists have transplanted in their conservation trial bed. They have taken hold and are now producing some seeds. The rare desert flower only grows on oil shale outcrops and is proposed for listing under the Endangered Species Act. Al Hartmann | The Salt Lake Tribune Rita Reisor, Conservation Director for Red Butte Garden examines one of several Graham's Beardtongue plants that garden botanists have transplanted in their conservation trial bed. They have taken hold and are now producing some seeds. The rare desert flower only grows on oil shale outcrops and is proposed for listing under the Endangered Species Act. The long-awaited decision on whether to protect two rare desert flowers could hinge on a proposed deal federal authorities have reached with state and Uintah County officials. 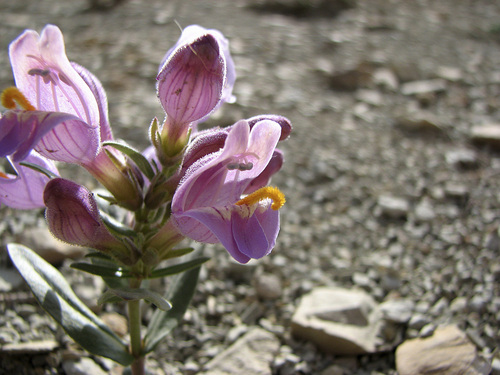 Occurring only in the Uinta Basin, the Graham&apos;s and White River beardtongue species of penstemon grow on oil shale outcroppings, so some fear a listing under the Endangered Species Act could stymie Utah&apos;s nascent oil shale industry. The U.S. Fish and Wildlife Service (FWS) on Monday released a draft conservation agreement, which identifies federal and state lands where surface-disturbing activities would be severely limited. The idea is to preserve core areas and demonstrate that beardtongue does not warrant listing, according to John Harja of the state Public Lands Policy Coordination Office. The areas "will be refuges for the plants," he said. "We did this for the purpose of addressing the threats." But environmentalists remain deeply skeptical. "The parties to this conservation plan  including the U.S. Bureau of Land Management  have worked to prevent protection for these incredible plants for many years," said Tony Frates of the Utah Native Plant Society, which has litigated over beardtongue listings for the past 12 years. He points out that the agreement will be nullified if either plant wins federal protection. That shows, he said, "that this agreement is not really about conservation." It presents other red flags, Frates contends, starting with its reliance on salvaging plants from disturbed areas. "Their idea is to bulldoze the habitat and then they&apos;re going to restore it. That&apos;s not appropriate," Frates said. "You don&apos;t just throw a plant out there and expect it to grow." Restoring arid lands back to ecological health is difficult and attempts to transplant Graham&apos;s beardtongue in the wild have failed. However, Red Butte Garden botanists have kept several specimens alive after salvaging them in 2011 from the Seep Ridge road project. FWS Utah field office manager Larry Crist said his agency will take the new agreement into account when it makes listing decisions in August. The agency also released Monday a draft environmental assessment of its proposal to designate nearly 74,000 acres as critical habitat for the two plants, as well as an economic impact analysis of such a designation. The public has until July 7 to submit comments and is invited to learn more at a May 28 meeting in Vernal. A member of the figwort family, penstemon is among Utah&apos;s most diverse flower genera, with 30 separate species growing in the Uinta Basin. Graham&apos;s beardtongue occupies a horseshoe-shaped band six miles wide stretching 80 miles across southern Uintah County. This plant goes largely unnoticed in the basin&apos;s barrens until spring, when it produces large colorful flowers. A key threat is habitat loss arising from energy development, road construction and off-road vehicle use. About 62 percent of the acreage proposed as critical habitat is administered by the Bureau of Land Management, and the rest is either private or overseen by Utah&apos;s School and Institutional Trust Lands Administration, SITLA. While most of the basin&apos;s oil shale and tar sands resources lie on federal ground, SITLA is hosting the active development proposals, which involve surface mining, not drilling. The economists forecast a modest economic hit associated with critical habitat restrictions, totaling up to $2.9 million a year. These costs would largely be borne by conventional energy development, which would have to drill in less desirable locations to avoid the plants, perform weed and dust control, and replant disturbed areas. The analysis figured these measures would cost about $150,000 per well pad. The economists also concluded oil shale and tar sands face so much uncertainty that it&apos;s not possible to say how a critical habitat designation would affect this industry. 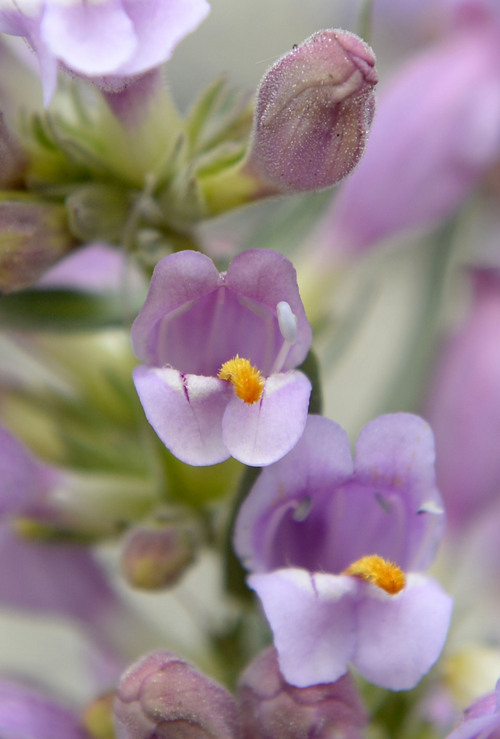 They calculated one oil shale developer, Enefit American Oil, could have to spend $130,000 a year protecting penstemon. The proposed agreement with the state specifies 44,000 acres of conservation areas on mostly federal land. Ground disturbance would be limited to 5 percent of the land set aside for Graham&apos;s beardtongue and 2.5 percent for the rarer White River beardtongue. No disturbance would occur within 300 feet of a plant. The U.S. 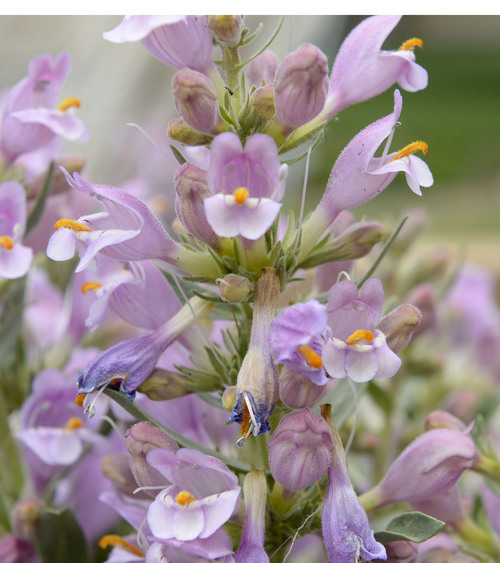 Fish and Wildlife Service is accepting public comments until July 7 on drafts of an economic analysis, environmental assessment and conservation agreement for protecting Graham&apos;s beardtongue and White River beardtongue. On May 28, an information session is scheduled from 4:30 p.m. to 6 p.m., followed by a public hearing from 6:30 to 8:30 p.m., at the Uintah County Public Library, 204 East 100 North, in Vernal. More information is available online at http://1.usa.gov/1fNCZLP.